Digital accessibility is about making sure that technology — including websites, mobile applications, kiosks and more — can be used by everyone, including disabled people. Digital accessibility is good for business and a core best practice of tech development. It’s also required by the Americans with Disabilities Act and other laws both in the U.S. and increasingly around the world. 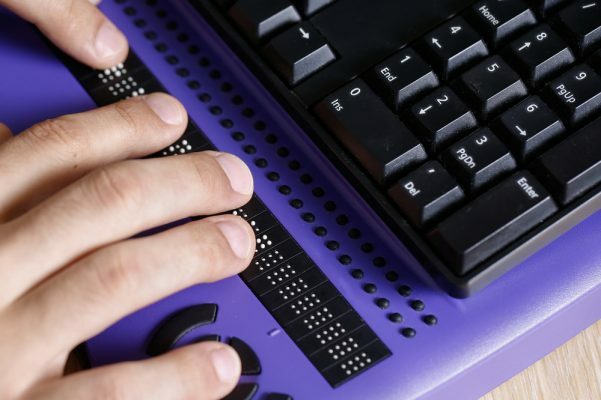 For close to seven years, since July of 2010, the United States Department of Justice (DOJ) has talked about issuing regulations specifically about web accessibility. On December 26, 2017, the Department announced that those regulations were officially withdrawn. Nixed. Not in Play. Kaboshed. Dead and buried. From a legal standpoint, the short answer is no. (Read below about some of the judges that agree.) Website owners, developers, contractors must still build accessible websites. Accessibility is a civil right with or without federal ADA regulations. And the Web Content Accessibility Guidelines (WCAG) 2.0 Level AA, coupled with training, usability testing with disabled people, policies, and other best practices are the proven ways to make accessibility happen. Let’s make 2018 the year we stop wasting money on lawyers to fight accessibility. Lets make 2018 the year of accessible tech. Courts are ruling in favor of plaintiffs in ADA website lawsuits. My August, 2017 post titled “Companies are Losing Web Cases: Spend Money on Access not Lawyers,” talked about four of those cases. As the post details, with links to the court orders, judges refused to throw cases out of court against Hobby Lobby, Blick Art Materials, and the Five Guys restaurant chain. And in an historic first (now on appeal) a judge in Florida ruled for the blind plaintiff in a web access case against Winn-Dixie after the first ever judge trial on web accessibility. And there have been other accessibility wins since then. This past October CVS lost its effort to throw a web accessibility case out of court – more money wasted on lawyers. Read an article about the CVS web access lawsuit. Read the judge’s order in the CVS web case. The Sixth Circuit Court of Appeals ruled in November that an absentee voter system based on paper ballots violated the ADA rights of blind voters: an accessible system was needed. Read an article about the Ohio voting case. Why are judges ruling for disabled plaintiffs in these web access cases? Because the ADA is a sweeping civil rights law that prohibits discrimination against people with disabilities. Because for 27 years the law has required public and private organizations covered by the ADA to effectively communicate with disabled people. Because the law requires participation, and without digital access there is no participation. But I believe the trend toward accessibility in the law is solid. That enough judges get it, that enough defense lawyers are recommending accessibility over adversarial posturing. And that the #ADA is strong enough on its own. Perhaps equally importantly, enough companies have embraced accessibility (for reasons of inclusion, market expansion, better sites for all, the growing baby boomer demographic, improved SEO, etc.) that the accessibility die has been cast. More and more private organizations — giants like Microsoft and Apple among them, recognize accessibility as a core corporate value. These companies, along with Capital One, DropBox and others write about creating a culture of accessibility in the workplace. Defense lawyers counsel that accessibility is a good plan to avoid legal action. The law might have to play catch-up; it often does. But the absence of regulations cannot stop the forward motion toward an accessible online world. The web access regulations that the DOJ has withdrawn are about entities covered by the Americans with Disabilities Act. Other laws also mandate digital access. Many states have laws requiring web access. California passed a new one this past Fall requiring state agencies to post an accessibility compliance statement on their websites by January 2019. Read an article about the new California law. Airlines have their own digital accessibility requirements that even the current federal dDepartment of Transportation is enforcing. Section 508 requires access for anyone developing / selling technology to the United States government. New regulations harmonizing Section 508 with WCAG 2.0 are effective as of January 18, 2018. And legal policies around the world mandate some level of accessibility. What do all these other laws have to do with the dead ADA web regulations? They mean that developers, designers, usability folks, and everyone responsible for building websites and mobile apps have to know accessibility to do their jobs. Hiring someone? If they don’t know accessibility they won’t be able to do the job. It grows harder and harder to stay on top of accessibility legal developments. Here are a few resources to help. My book, Structured Negotiation, A Winning Alternative to Lawsuits, tells stories of twenty years of legal advocacy for accessible technology — all without lawsuits. You can read about companies who decided to work on solutions instead of fighting. You can read what people say about the book here. The Seyfarth Shaw ADA Title III News and Insights Blog is a reliable source of information on web accessibility legal developments. And the MicroAssist Accessibility in the News e-newsletter captures a lot of the accessibility legal developments and commentary. The article I wrote for 24 Accessibility, a series of articles about accessibility to ring in the new year, offers a way to look at the law as a tool for motivation instead of fear. Read Shifting from Fear to Motivation when Talking about Digital Accessibility Law. The Legal Update Page on this website has links to almost four years of articles about disability rights laws and technologies. You’ll find the 2010 article announcing the promise of web regulations, and many posts along the way about the delays. Hopefully you’ll find I’ve been consistent that the absence of regulations is no excuse for websites without access! The United States Department of Justice has withdrawn ADA regulations about websites. But the ADA still requires website accessibility. Why? Without access disabled people are excluded from public and private life. Courts recognize this. Let 2018 be the year where companies stop wasting money on lawyers to fight about web access. Return to top of this post.